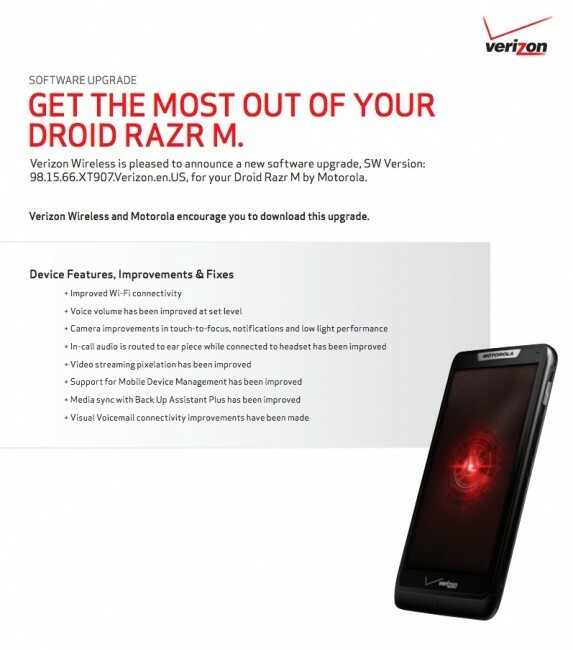 If you’re the proud owner of the RAZR M you should be excited to hear that Verizon has officially announced a small update (build 98.15.66) that will squash a few bugs with the device. This looks to be the exact same maintenance release that we saw soak testers get last week. Not as exciting as a new version of Android, but fixing WiFi connectivity, video streaming and camera improvements are all welcome fixes. The update is 80MB in size. To check to see if the update is available, head into Settings>About Phone>Software updates.